These drives are available in ten capacities, offering 'ultra-secure', PIN authenticated, hardware encrypted portable storage. 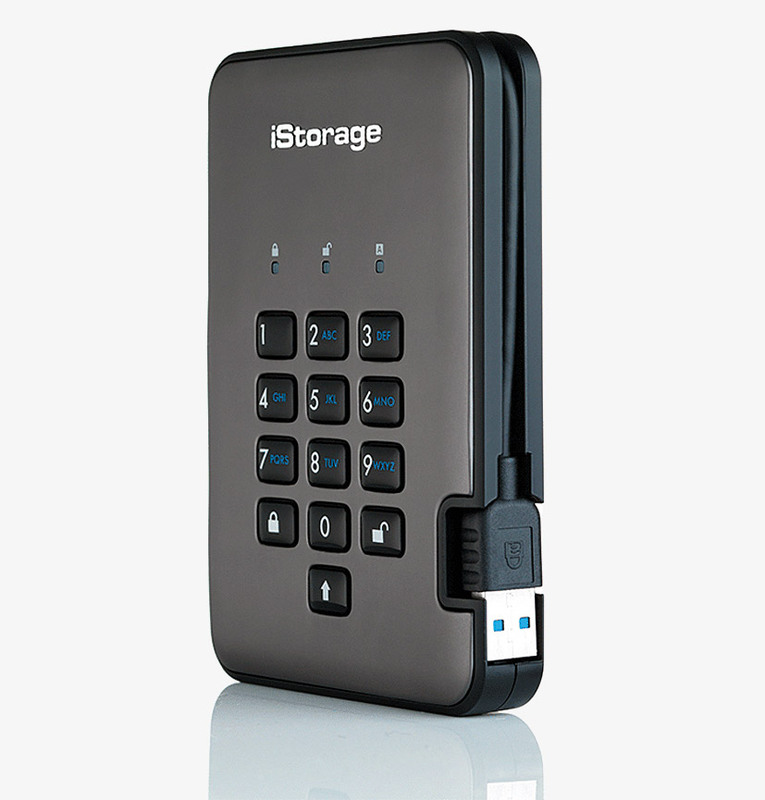 The drive is housed in an IP56 rated, dust and water resistant enclosure. The integrated USB 3.1 cable provides power and access to the data, no external power supply is required. A protective carry case is also included. 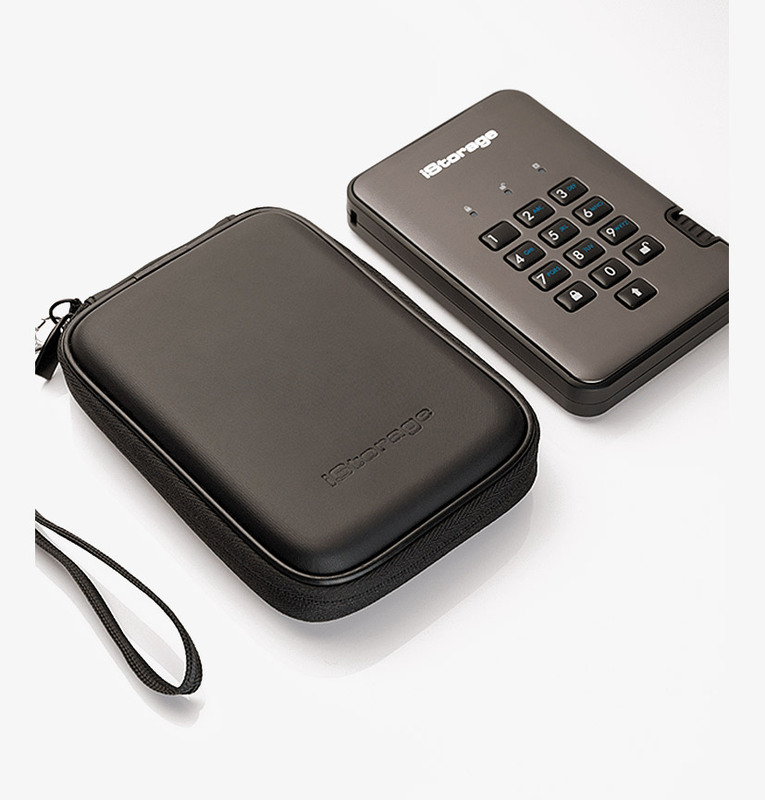 Access to the data is achieved by connecting the drive to any computer and entering a user set 7-15 digit PIN, via the on-board, wear-resistant keypad. The wear-resistant keypad avoids tipping off a potential hacker to commonly used keys. Once the drive is unplugged from the host computer, or power to the USB port is turned off, the drive automatically locks to protect the data. The drive can also be programmed to lock after a predetermined amount of time. The drive also has features intended for corporate and government deployment. The drive can be set with separate User and Admin PINs, allowing the Admin to, recover data from a drive and setting a new User PIN in the event an employee has forgotten their PIN; retrieve data from a drive if an employee leaves the company; set policies such as 'Read-Only'; and overriding all user settings. A 'self-destruct' pin can also be set, which, once implemented, instantly deletes all data, encryption key and all PINS. After fifteen consecutive incorrect PIN entries, the drive assumes it is being attacked and will delete the encryption key and lock itself, rendering all data lost. At this point, the drive can be reset to factory default settings and redeployed. In addition to the PIN code, access to your data is protected with a dedicated on-board secure microprocessor (Common Criteria EAL4+ ready), which employs built-in physical protection mechanisms designed to defend against external tamper, bypass attacks and more. The device reacts to an automated attack by entering a deadlock frozen state. All data on the drive is protected with military grade AES-XTS 256-bit hardware encryption. The drive has received Government accreditations, including NLNCSA BSPA, NCSC CPA, FIPS PUB 197, NATO Restricted Level certification, and is designed to be certified to FIPS 140-2 Level 3. As a final level of security, all internal components of the drive are completely covered by a layer of super-tough epoxy resin, which is virtually impossible to remove without causing permanent damage to the components. This barrier prevents a potential hacker from accessing the critical components and launching a variety of futile attacks. The diskAshur PRO2 does not require any drivers or software to be installed and can be used with any software or operating system, including, Microsoft Windows, macOS, Linux, Android, Chrome, Thin Clients, Zero Clients, Embedded Systems, Citrix and VMware. The USB 3.1 interface, backward compatible with USB 2.0/3.0, offers write speeds of 317MB/s and read speeds of 294MB/s for solid state models; for hard drive models, write speeds of 140MB/s and read speeds of 148MB/s. 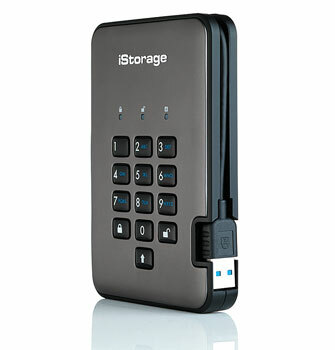 For encrypted, USB flash drives see iSTORAGE PORTABLE STORAGE - USB flash drives - Encrypted.